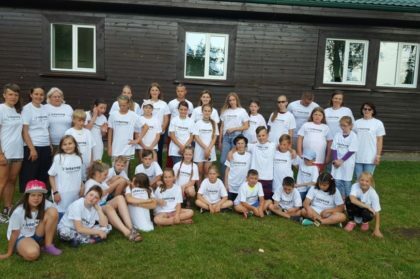 The aim of this project is to provide opportunities for children from multi-child families, children from families from social exclusion and families with disabled children to help improve themselves by gaining new skills, developing their talents, overcoming their fears and thus to reduce social tension in both Latvian and Lithuanian regions. During the project implementation, problems of socially vulnerable people will be discussed, the experience will be exchanged and psychological support will be given through the trainings, lectures and classes on camps in easy and effective way. Target group members will become familiar with basic camping skills, discover essential diet understanding and food preparation skills, will be engaged in teamwork building exercises, musical programmes and exercises to discover talents and develop creativity and in such a way boost their self-confidence. These activities will be carried out by volunteers from both partners, who will share their best experiences with each other. In order to organize camps effectively, the premises of Ignalina parish will be repaired and designed for Youth Day Center, a kitchen with a dining room will be installed and necessary equipment will be purchased. 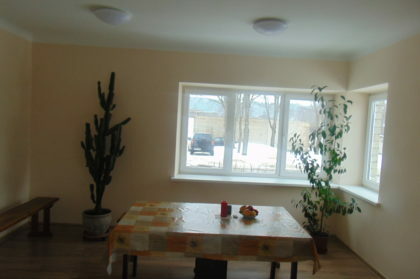 In this center, young people will organize their social and cultural activities. Finally, concluding conference will be organized. Project will create more active social and cultural life of the communities and cultural exchanges across the border. The works of Ignalina parish premises repair and adaptation to become a youth center were completed. Before implementing the project “Ignalina and Daugavpils against Poverty and Social Exclusion” The Virgin Mary parish in Ignalina had an unused premises of 158 sq. meters. In these premises, it was planned to equip the youth day center with project funds. The purpose of this youth center is to give young people the opportunity to reduce social exclusion by self-expression, cooperation and other creative activities. Nativity of the Blessed Virgin Mary parish in Ignalina has the unused space of 158 square meters , where youth day center is aimed at equipping. The aim for this youth center is to provide opportunities for youth from social exclusion for self-expression, cooperation and other creative and participatory activity. We hope that after this work is finished more young people will have the opportunity to unfold and develop their talents (music, sports, culinary, etc.). Pašā vasaras vidū, no 17. līdz 24. jūlijam, Lietuvas ciematā Tverčiaus, Ignalinas novadā, notika starptautiskā bērnu nometne. Nometnē piedalījas 15 bērni no Lietuvas un 15 bērni no Latvijas kopā ar saviem skolotājiem un brīvprātīgiem palīgiem. Nometne notika ļoti skaistā vietā – mēs dzīvojām viesu mājā, nelielā ciematiņā, blakus mūsdienīgam sporta laukumam, bērnu laukumam, netālu esošajam ezeram. A 7-day long camp for 50 participants was organized for children from socially excluded families. The camp was held in Ignalina on July 17-24, 2018. It is the first camp among 10 others that are planned to be organised in both Lithuania and Latvia as a part of the project „Ignalina and Ignalina and Daugavpils against poverty and social exclusion“. 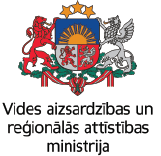 This project is funded by Interreg V-A Latvia – Lithuania Cross Border Cooperation Programme 2014-2020. Liepos 17 – 24 dienomis Tverečiaus miestelyje, Ignalinos raj. vyko vaikų vasaros stovykla – “Atrask Save”. Tai yra tęstinė projekto „Ignalina ir Daugpilis prieš skurdą ir socialinę atskirtį“ (Finansuojamas pagal Interreg V-A Latvija-Lietuva programą 2014-2020). Projekto partneriai yra Švč. M. Marijos Gimimo parapija bei Daugpilio Jėzaus Širdies Katalikų parapijų. 2018 m. gegužės 28 d. Ignalinoje įvyko Interreg Latvijos-Lietuvos bendradarbiavimo per sieną programos 2018-2020 projekto “Ignalina ir Daugpilis prieš skurdą ir socialinę atskirtį” , Nr. LLI-322, partnerių susitikimas. 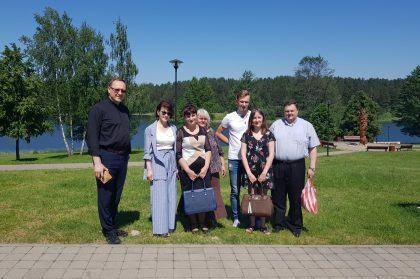 On 28th of May, 2018 there was the kick-off meeting of the project „Ignalina and Daugavpils against poverty and social exclusion“, No LLI-322, where both partners met. 2018 m. balandžio 1 d. buvo pradėtas įgyvendinti bendras Ignalinos Švč. M. Marijos Gimimo parapijos ir Daugpilio Jėzaus Širdies parapijos projektas „Ignalina ir Daugpilis prieš skurdą ir socialinę atskirtį“ Nr. LLI-322. Numatoma šio projekto trukmė – 24 mėnesiai. Vedantysis projekto partneris yra Ignalinos Švč. 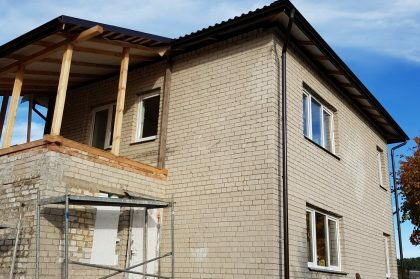 M. Marijos Gimimo parapija, projekto partneris – Daugpilio Jėzaus Širdies parapija. Project LLI-322 Ignalina and Daugavpils against poverty and social exclusion (Igda vs poverty) Kick – off meeting.